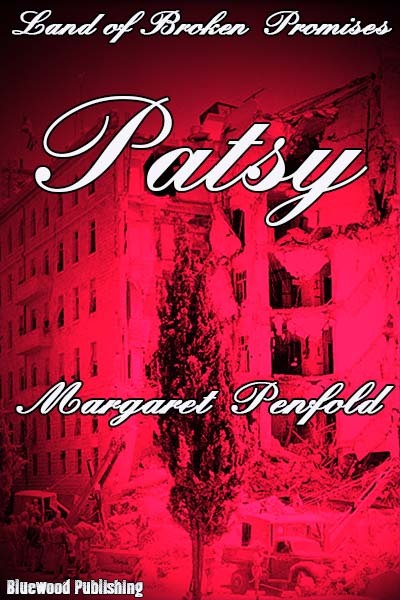 Patsy by Margaret Penfold is the first novel in the Land of Broken Promises trilogy. On Saturday I had the pleasure of attending the book’s launch in Leicester. Margaret and I belong to the same writers’ group, so I have seen many extracts from the trilogy over the last few years. I knew roughly what it was about, but I was still in for some surprises. The three novels are set during the British Mandate of Palestine. Each follows the story of a different woman, one English, one Jewish and one a Muslim Arab. In seeing those formative years from three different perspectives, the series manages to give a beautifully balanced view of what is a tangled and bitterly contested piece of history. All this I knew. The surprise for me was learning the lengths to which Margaret went to get to the truth of each story. Part of it was based on memories of her own childhood in Palestine. But the research she needed to do in addition was extensive and painstaking. And even after that she knew that in order to be faithful to the Jewish and Arab perspectives, she would need to find people from those backgrounds to help her. This included travelling to Israel. But the most stunning part of Margaret’s excellent presentation was a reading, (one I had not heard before) which described the 1946 bombing of the King David Hotel from the point of view of someone inside the building. It was an extraordinary piece of writing, made all the more so when we learned that it was based on her father’s first-hand account. When people describe novels, the word ‘important’ is bandied around quite loosely. But in this case it is appropriate. This is an important book. And an important series of books. Conflict would be easier solved if we all did what Margaret has done so successfully here, and saw the story from the other person’s point of view. Bravo to the publisher, Bluewood, for grabbing the chance to get this story out. Photographs from left to right: David Bowman from Bluewood Publishing introducing Margaret; Margaret reading from Patsy; Margaret and Jean Chapman. I shall have to read this – my grandfather was awarded the George Medal for his bravery in rescuing people from the King David Hotel after he himself had been injured. Oh how fascinating. Do order a copy, and we hope you enjoy.